TROY, NY -- Hudson Valley hitters struck out 17 times in a 3-0 loss to the Tri-City ValleyCats Saturday night at Joseph L. Bruno Stadium. The win gave Tri-City a 1-0 lead in the best-of-three New York-Penn League Championship Series. The ValleyCats started their scoring in the first as leftfielder Carlos Machado led off the inning by ripping a solo-homerun over the right-centerfield wall. Tri-City would add to its lead in the second as a one-out single and walk put runners at the corners with one away. Centerfielder Ramiro Rodriguez then looped a soft single to left to score the runner from third and up the ValleyCats' lead to 2-0. Things stayed that way until the seventh. With runners at first and second with two away, Hudson Valley reliever Chris Muller uncorked back-to-back wild pitches to bring in Machado from second to increase Tri-City's lead to 3-0. That was all the ValleyCats would need as four pitchers combined on the 17-strikeout parade. Getting the win was reliever Joey Gonzalez (1-0) who struck out two in 1.2 innings. The save went to R.J. Freure (1) who tossed the final three frames and struck out four on one hit. Fellow reliever Jose Alberto Rivera K'd six in 2.1 innings of work while surrendering only one hit. Starting the game was Shawn Durbin who struck out five in two innings, and gave up three hits. The loss fell to Hudson Valley starter Zack Trageton (0-1) who allowed two runs on five hits over three innings. 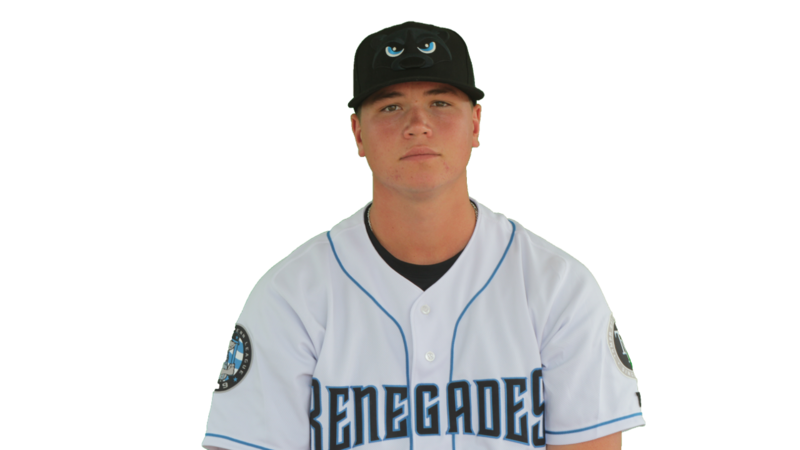 The Renegades had five hits in the game with no one registering more than one. The ValleyCats, meanwhile, had nine hits. Machado went 2-4 with two runs to go along with his homerun. Third-baseman Enmanuel Valdez also finished 2-4 with two singles, while catcher Oscar Campos went 2-3 with a couple of singles as well. Hudson Valley had several opportunities to score. In the second inning, they loaded the bases with one away before Durbin got designated hitter Bryce Brown and centerfielder Tanner Dodson to both strike out. In the fourth, the Renegades again loaded the bases, this time with two out, before another strike out of Dodson ended that threat. Finally, with two out, Hudson Valley loaded the bases again thanks to three walks by Tri-City's bullpen. However, shortstop Ford Proctor struck out swinging and the 'Gades were turned away. The Series will shift to Dutchess Stadium tomorrow for a 4:05 start in game two of the best-of three set. The Renegades will start southpaw Christopher Sanchez (1-0, 4.00 ERA) against righty Felipe Tejada (4-5, 4.50 ERA) for the ValleyCats. All tickets are $2.50, and can be purchased online at hvrenegades.com or by calling the ticket office at 845-838-0094.